This is the photo of Reynaldo Areno, taken by the photographer a few weeks before this Filipino boy was accidentally shot and killed by a young junk collector. He is smiling with the Mr. Pogi (Mr. 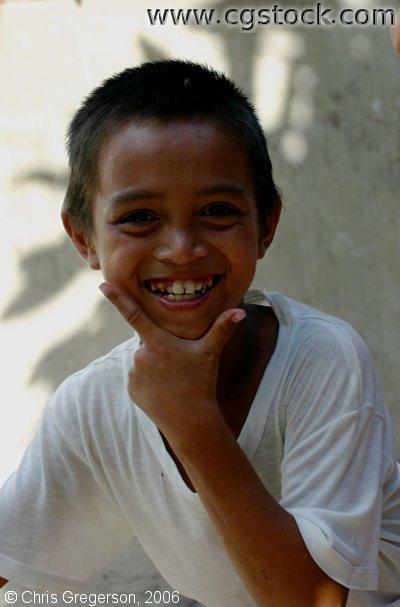 Handsome) pose, typical of Filipino youngsters posing before a camera. The junk collector discharged a pistol at the boy's head as a sick "joke", thinking it wasn't loaded. The gun went off and killed Reynaldo. He tried to hide the body by dumping it in a vacant lot before he fled town.